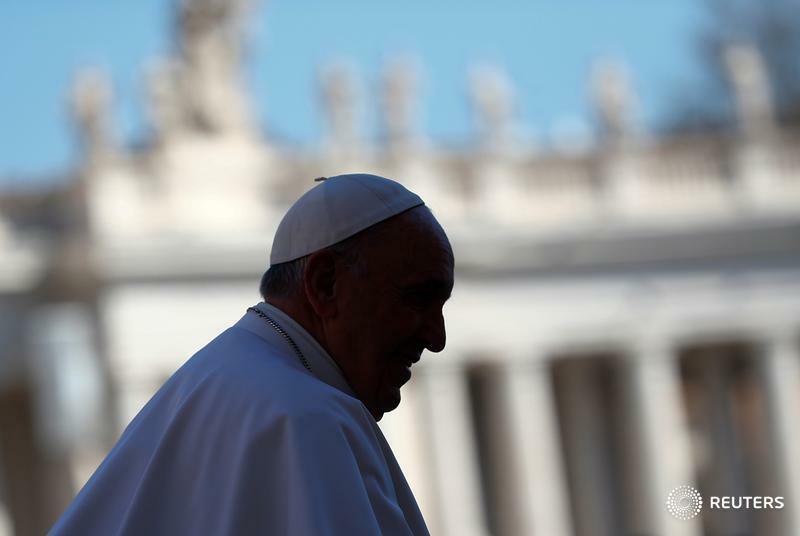 VATICAN CITY (Reuters) — Managers who close businesses, shut factories or restructure firms without fully considering the impact on workers and their families are committing a "very grave sin," Pope Francis said on Wednesday. Addressing tens of thousands of people in St Peter's Square for his weekly audience, Francis strayed from his text after mentioning he was worried about how families might be affected by a labour dispute at TV network Sky Italia, making clear that he was concerned about the problem in many countries. "Work gives us dignity. Those who are responsible for people, managers, are obliged to do everything so that every woman and every man can work and thus be able to walk with their heads held high, to look other people in the face with dignity," the pope said. "Those who, for economic schemes or in order to make deals that are not fully transparent, close factories, shut down enterprises and take work away from people, that person commits a very grave sin," he said. Francis has strongly defended the rights of workers since becoming leader of the world's 1.2 billion Roman Catholics four years ago. Like other countries around the world, Italy has seen companies and factories close as production is moved abroad to take advantage of lower labour costs or as a result of restructuring and mergers. Sky Italia has been hit by strikes by employees opposed to its plan to move most of its operations to Milan from Rome, which unions say could lead to hundreds of job cuts and forced transfers. In another case that has dominated Italian newspapers, up to 2,000 people may lose their jobs in restructuring at loss-making airline Alitalia, whose failure to fend off low-cost competition is widely blamed on decades of poor management. The specter of job losses in these and other cases has been exacerbated by the fear of long-term unemployment for those affected. Italy's jobless rate stands at about 12 per cent and youth unemployment is close to 40 per cent.